Directed by Stanley Donen and released in 1958, Indiscreet stars Ingrid Bergman and Cary Grant in the leading roles. It’s a film I’d not seen before I watched it with my Dear Daughter right after she graduated from the 8th grade. We call it our Femmie Film, and whenever we want to share Girl Time, we watch it together. My impressions are, therefore, shaded with the sentiments of a mother enjoying the delights of a romantic-comedy that is, at once, playfully innocent and delightfully knowing. The dialogue is among the finest that Bergman and Grant declared on the screen together, and this film marked only the second time that this superlative duo played, not against one another, but in tandem within the fine art of acting. Bergman as Anna Kalman and Grant as Philip Adams may be re-enacting previous scenes from Notorious, but there is very little suspense and very much simpatico between them. 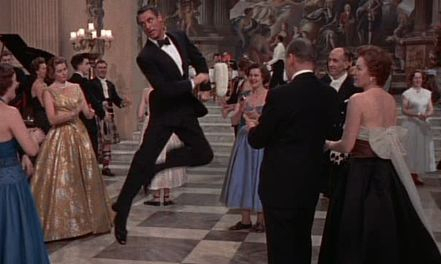 The movie was originally a play, Kind Sir, written by Oscar-nominated Norman Krasna, who also wrote the screenplay, although Indiscreet did not garner any Oscar attention. The film shows Bergman a bit past her prime, on the edge of matronly in some outfits, but still strikingly beautiful and glowing in her womanly allure. She’d been through the ringer in her private life, but had managed to return to Hollywood. Cary Grant displays his full potential as a gentleman of decorum and decency, not only in his thespian role, but as a friend. He subtly gives the larger portion of the spotlight to this actress who had been a potential threat to stealing any and all spotlight from him in Notorious. 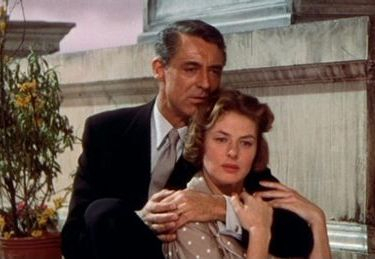 Here, in this tale of a stage actress who must accept an unethical choice in love, a choice that turns out to be ethical after all, Cary Grant grants to this female colleague on the screen all of the respect that he felt she’d deserved during her years in the wilderness of Italy and in those Italian films whose worth is debatable. The costumes, by Christian Dior, are, with a few exceptions, stunning and gorgeously tailored to the actors and actresses wearing them. There is an opening montage of red and yellow roses to decorate the life of the film and the life of these people. Color plays a large part in the contrast between the bold emotions that must be kept indiscreet: love between fully grown adults has never been more polite or passionate. 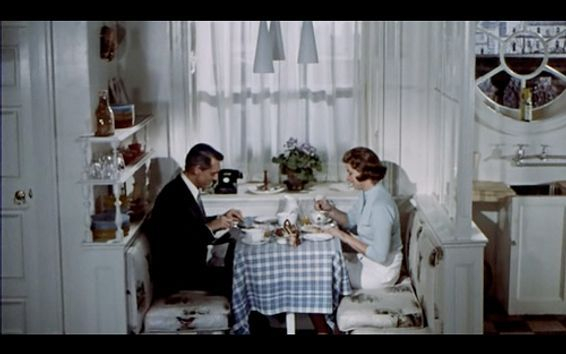 This type of movie is not an anachronism or an anomaly for its time, but it certainly would be today. And that departure from decency on screen is part of why Indiscreet is the Femmie Film for not just my daughter and myself, but for any females who wish to revel in being female. Set in London, the story unfolds quickly, but there is an underlying sense of the hidden uncertainties of life in post-war England. 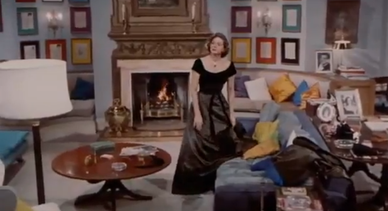 The set designs are lush and tasteful, but I always get the feeling that the scenery is more of a projection of what Hollywood wanted post-WWII London to look like: small, intimate, refined, lovely, not at all affected by privation or the socialism that would begin to wreak havoc on the population within a matter of years. As much as I enjoy the acting skills and chemistry between Bergman and Grant, I truly relish the dialogue and dynamic flair of Cecil Parker and Phyllis Calvert in the roles of Alfred Munson and Mrs. Margaret Munson. This sister of Anna is a fascinating joy to watch; and her wardrobe is a touch better than that of the leading lady! Although understated, its classic glamour comes off as more elegant. The element of the United Nations in this film lends a comical, if not farcical, treatment of the debating society that the UN has become. Even then, Grant as Philip Adams appears somewhat aware of the excesses in store for this mega-magnet of world wealth. Bergman exudes concern about people becoming “peeping Toms,” long before the advent of electronic surveillance. The hotel detective and government dossier were in full force. 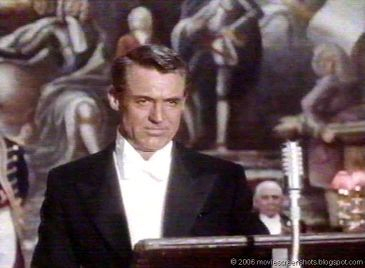 Cary Grant performs a Highland reel that cannot be performed by any other actor. Ingrid Bergman permits herself the indulgence of over-acting when discussing over-acting. The supporting cast does much more than support; they create characters endearing and enduring. And the ending is one of sheer smiles and tears. The only indiscreet thing about Indiscreet is . . . nothing!